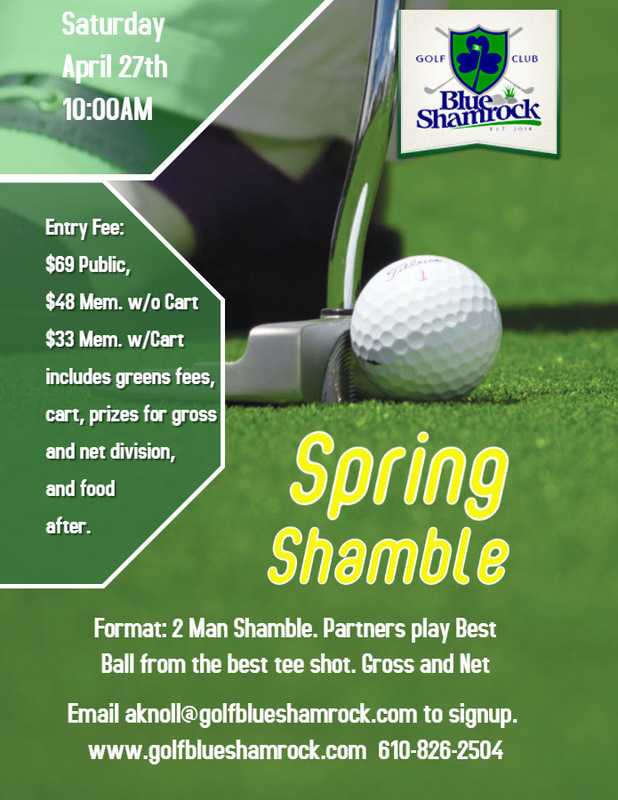 Spots are filling up fast for our Spring Shamble on Saturday April 27th. Easter Brunch reservations are filling up fast. 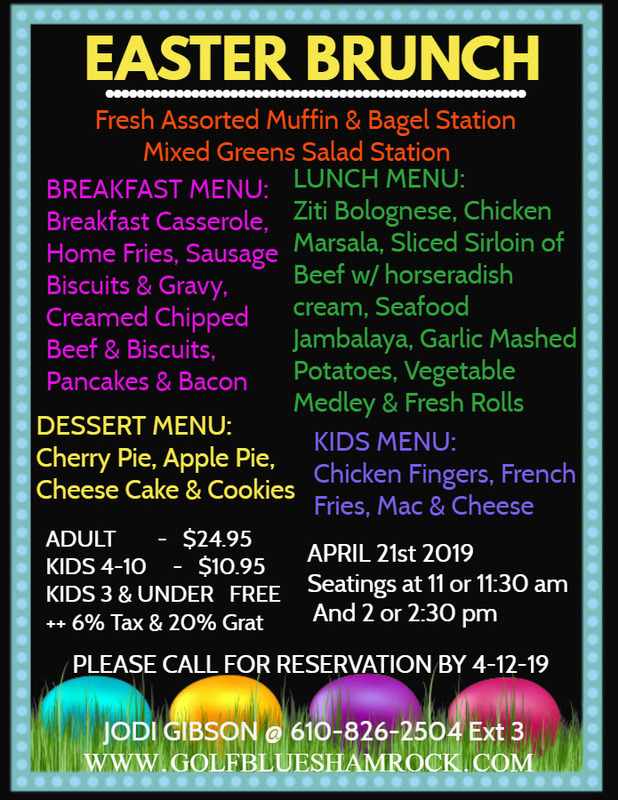 See Flyer below for menu and information! NEW!!! Join our Shamrock Golfer's Association (SGA)!!! Open to all golfers, it is a discount program for weekday golf along with access to our Thursday Association Cash Games!!! See the Website for Details and you can Sign Up anytime you come to the pro shop. PLAY twice with us all YEAR and you pay off the fee!!! Come out and join the best discount program in the region, and play on Thursday's to win great daily and season long prizes!!!! First Association Day is Thursday May 9!!!! Expanded Kitchen and Bar Hours!! See Website for Details!!! New Lesson Programs open to All Public Golfers and Blue Shamrock Members get a Discount!!! There are 2019 memberships still available for all golfers to purchase! The course is going to be in great shape and with so many new things happening this year, why wouldn't you want to be a member at Blue Shamrock!! Brush off some rust with taking lessons from new Head Pro Alex Knoll, PGA. Rates and information are on the website, and continue to look back for our new clinic and playing lesson programs!! Also, we are creating junior programs for the summer, including a high school preparation program. All golfers are welcome to join our lesson programs!! Rates have been dropped for 2019!! !